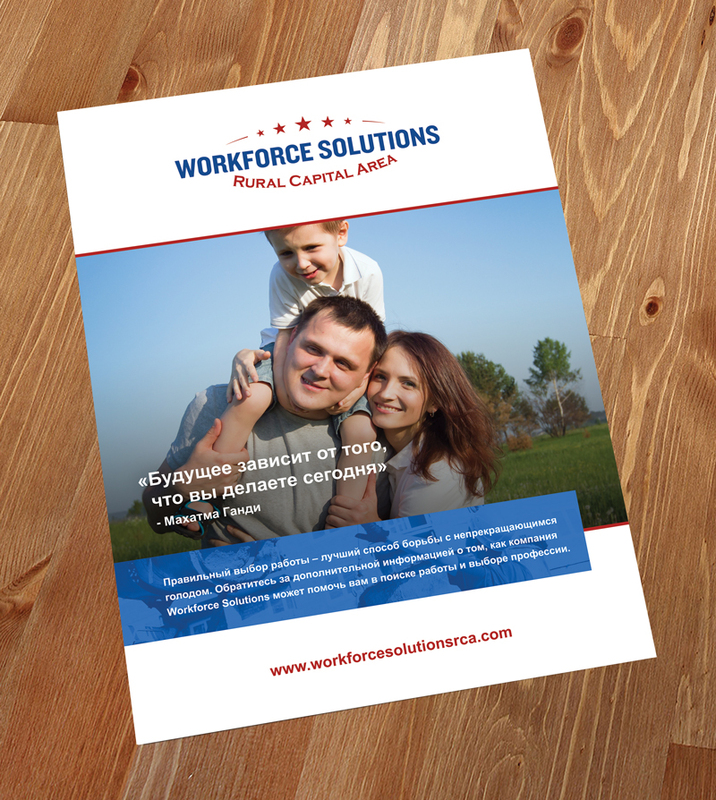 Workforce Solutions Rural Capital Area is a community partnership providing no-cost recruitment and employment services to businesses and job seekers in the Rural Capital Area of Texas. 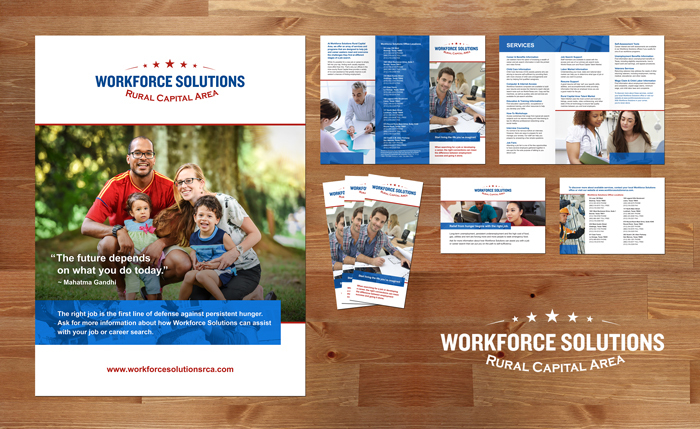 Through the Rural Capital Area Workforce Development Board, WSRCA offices give employers and job seekers access to local workforce solutions and statewide services in one location. 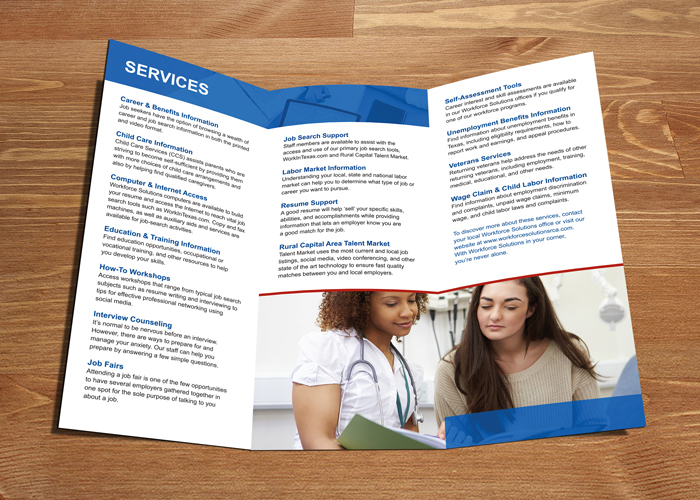 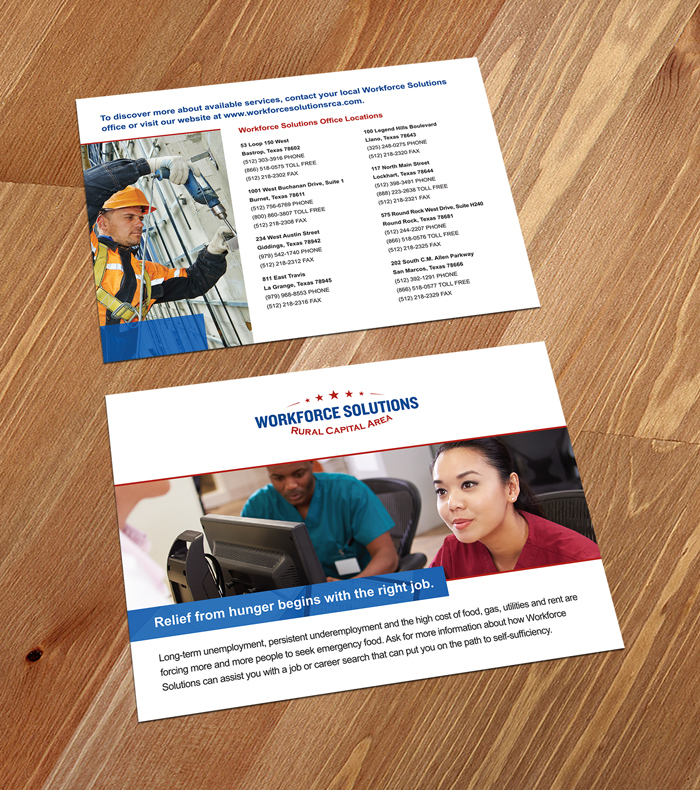 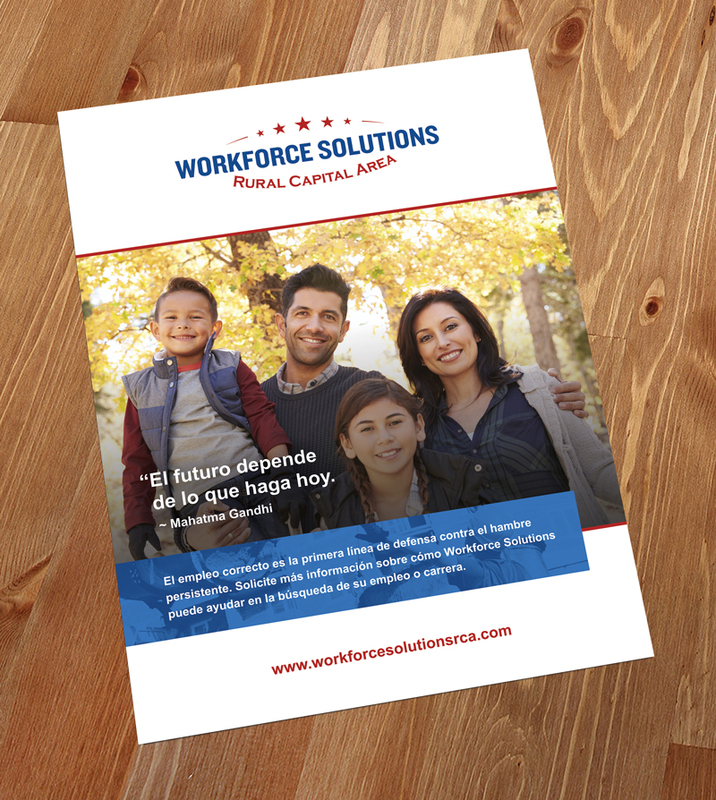 WSRCA needed a printed marketing campaign that would connect to individuals seeking employment in rural Texas. 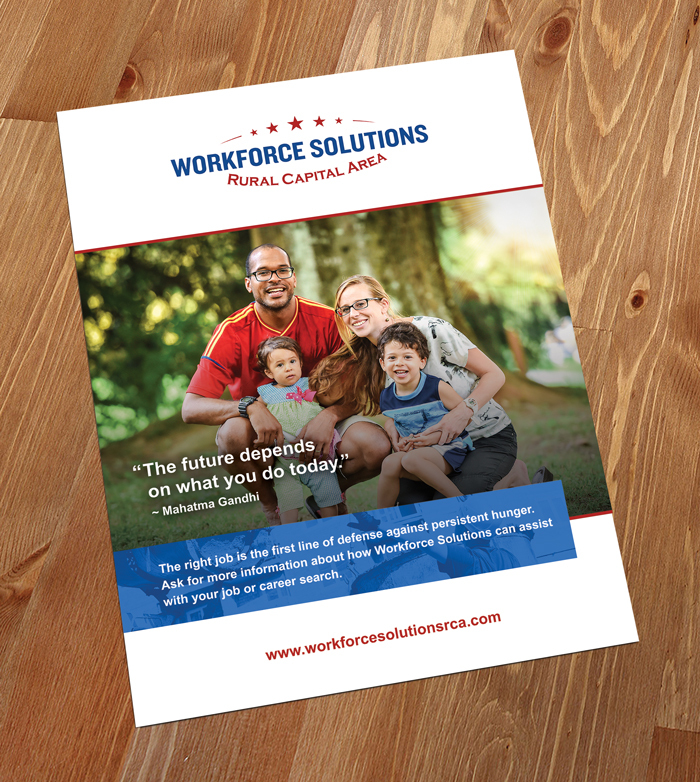 The advertisements were designed in line with their current brand identity and placed within food banks all over Texas. 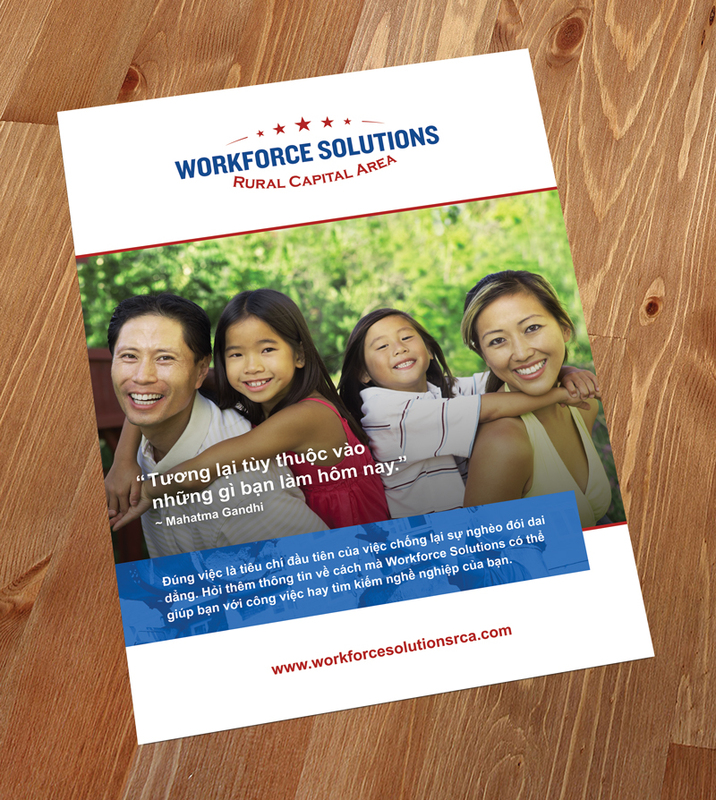 Our audience was very diverse, consisting of Americans, Latinos, Chinese, Russians, and Vietnamese. 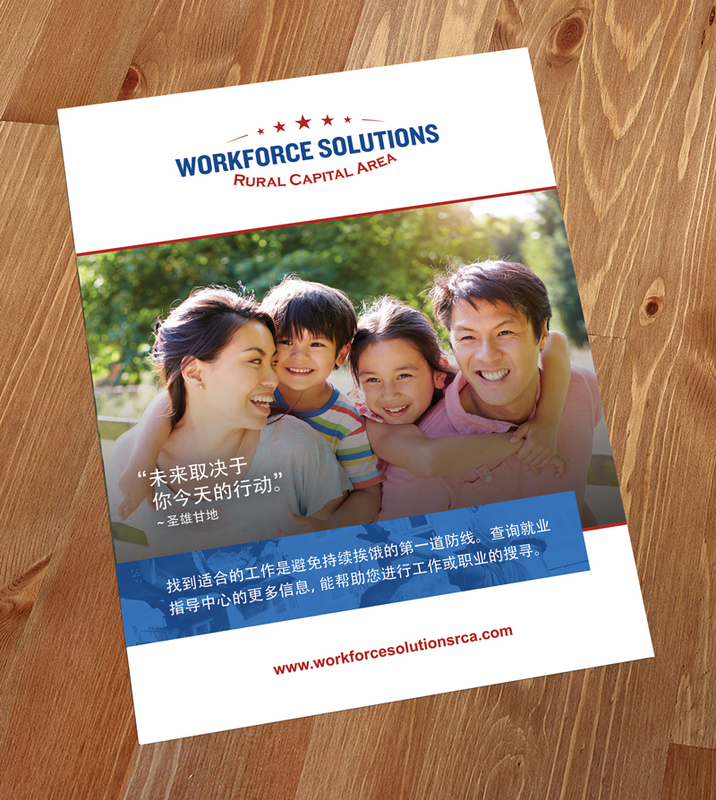 Many of these individuals are immigrants, so therefore each of the marketing pieces were designed in 5 different languages in-order to target as many individuals as possible. 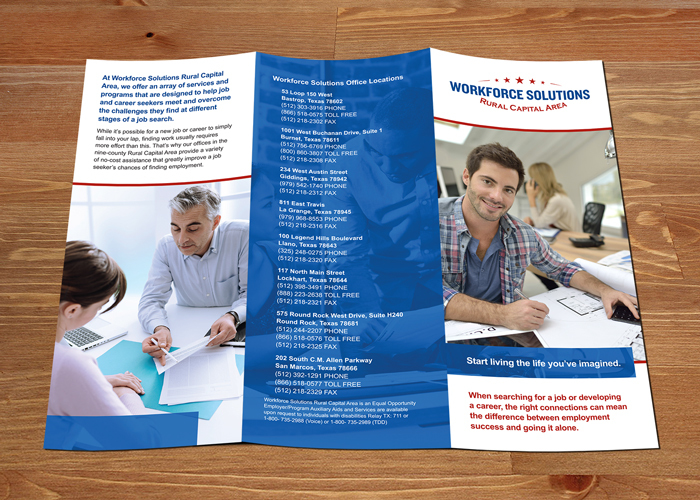 WSRCA received over 1,000,000 posters, brochures, and hand-out cards which they distributed to their 8 locations across Texas.